But when we jump to this teaching before we have answered the many questions our children have about differences, and before we’ve taught them skills and strategies to combat racism, we have not adequately prepared them to be truly inclusive, especially as they will pick up on biased messages from the media as they grow. In order to promote inclusivity, we would do better to give our children a basic understanding about skin color differences and the value that being in a diverse community has for all of us. In this sense, becoming colorblind is not the ultimate goal. The real objective is recognizing, appreciating and understanding differences within the larger context of building inclusive communities. Providing a framework for a rich and interesting conversation around race, without discomfort or embarrassment, especially when children point out differences. At this age children are full of curiosity about the world around them and begin to try to make sense of new and exciting environments like school. What a great time to begin a conversation about race and skin color! Read picture books that celebrate all the different shades we come in. by bell hooks. Tell your child that being surrounded by different skin tones makes the world a richer, more beautiful and interesting place! A fun activity around skin color is to gather various shades of paint, including white, peach, different browns, etc. and mix paints together to find your child’s—and your—skin tone. You can use this paint to make artwork together. Most important, celebrate the diversity of skin tones in your own family, your larger community and the world while stressing the importance of not using these differences to put each other down. 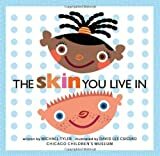 At this age, the conversation around skin color/race can become even more rich and interesting as children begin to voice their questions about why we are the way we are and how we got our skin colors. Answer their questions! Read books to your child that give a more scientific explanation of melanin and where skin colors come from. The best one I’ve found for this age group is “All the Colors We Are” by Katie Kissinger. This is also the time to clear up any confusion your child may have about race. One of my white kindergarten students once told me that his mother was black. What he was trying to say was that she was tan, but he needed help figuring out those categories and what they mean. Five and six is also the age to give children language they can use to be inclusive with one another. For example, I often observe white kindergarteners being fascinated with the hair of African-American students, especially girls, and wanting to touch their hair. This is a problem for the African-American students, and for their parents, who did not necessarily want hands in their children’s hair every day. In my class, we had class meetings about the importance of giving our classmates personal space. But the conversation didn’t stop there. 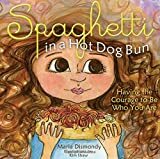 We also read books about different hair types, in order to teach about why we have different hair and why it’s important to appreciate this difference. 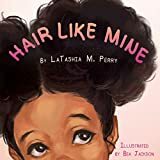 A few good books are “Hair Dance!” by Dinah Johnson, Hair Like Mine and I Love My Hair. It is also important to talk explicitly with your child about racism, in order to help them recognize bias and racism when its occurs—either in their own lives or in the media. Your five or six year old will probably learn about the story of Martin Luther King Jr. and the Civil Rights movement this year, if she doesn’t know about it already. This is an important time to stress the dangers of excluding others because of race. Use puppets to act out scenarios of exclusion around skin color and engage your child as a problem solver to come up with inclusive solutions. Also, connect the story of Dr. King to someone your child knows who works to stand up for a community and make positive change. 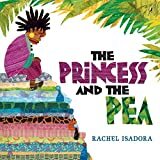 This will help your child make sense of the story and of the larger themes around social justice and working toward peaceful change. You can also read children’s books that have “changemakers” in them. “The Lorax” by Dr. Seuss is a good one! At this age, children should have a basic understanding of where skin color comes from, how to be inclusive with one another around skin color differences and how to recognize bias or racism when they see it. If they don’t have this basic understanding, go back to the section on 3-4 year olds and begin there! It’s OK to start at square one in the conversation about race, even with an older child. Think of it as how you might assist your child in gaining a basic understanding of math in order to be prepared for higher math classes. There’s no shame in “skilling up” in any important learning area, whether it be math or learning about race, racism and empathy. Along with continuing the work of appreciating the beauty of all races, through open dialogue about the importance of diversity in your school and/or neighborhood, it is critical to seek out media that features main characters of color. Help your child find books to read that feature characters of all different races, and not just the books that tell stories around racism, though those are important too. 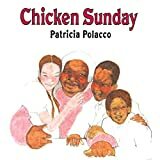 It is essential that your child sees characters of all races in “every day” books, experiencing relatable problems and situations. This will expand your child’s ability to empathize with all different kinds of people. As children get older and begin to pay attention to, and receive more messages about people of color in TV shows, advertisements and movies that are not always positive or affirming, this basis you created will become especially important. In the conversation about race with slightly older children, we can discuss more strategies around how to be anti-racists. It is key to talk openly about how to be an ally, rather than a bystander, when it comes to viewing racism. Talk about “what if it’s not me”—what do you do if it’s not you that’s the victim of prejudice. Teach your child about key anti-racists from the Civil Rights movement of all different races, such as those who are not often talked about, like Bob Moses, Myles Horton, Diane Nash and Fannie Lou Hamer. Find people in your own family or community who work to solve problems. Talk about how change happens when many people work together to fight against injustices. Ask your child what problems they see in their community and find ways to take action together, through community service, church groups, volunteering, etc. Continue to create space for your child to ask their growing questions about race and racism. And if you don’t know the answers or how to respond, it’s OK to say, “I need to think about that and get back to you’” and then do some reading to expand your own knowledge. Here are some books that have helped me: White Like Me by Tim Wise, Why are All the Black Kids Sitting Together in the Cafeteria by Beverly Daniel Tatum, I’m Chocolate, You’re Vanilla: Raising Healthy Black and Biracial Children in a Race-Conscious World by Marguerite A. Wright and Nurture Shock by Po Bronson. Go to a paint store and get all different colors of paint chips. Have your child compare her skin to the paint chips and use these names as inspiration for poetry or artwork. Use the book “Tan to Tamarind” by Malathi Michelle Iyengar to explore poems about the color brown, a color often left out of children’s poetry and songs. After reading the poems, use brown spices such as cinnamon, cloves, coffee grounds and nutmeg to make art. Write poems about how these spices feel and smell. The result is a collection of beautiful associations with the color brown. Very informative and interesting article. I will definitely be using some of these ideas when my daughter is old enough to understand things. I like the book recommendations and will be looking into these! This is brilliant! Thank you for this very informative article! 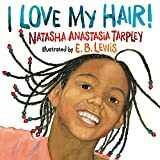 I’ve used several of the books you mention with my children, as they asked since an early age why their friend(s) had “such curly hair”, “such dark skin” or “other eyes”. I’ll recommend it on my fb sites and make a link on my blog (expatsincebirth). Only in the US. why make sth simple so complicated. Great tips, and great book recommendations! Another title that we like is Shades of People (http://bit.ly/16AflfQ). Also, a great leaning activity for us (white parents + Black son) was getting eggs of differing shades, including white and brown. My son thought it was fun that we had eggs with “cocoa skin”, and seeing how they all looked the same inside prompted some good discussion. Wonderful article! We are all different races and colors in our house, with varying curliness- I loved your suggestions:). Surely the first thing is to make it clear that “races” do not exist? The idea that differences in colour make us separate races is a construct which seems to apply more in the US than in many other countries. I’m not sure how relevant this article is in other countries without the same historical background.